This thick, hearty Instant Pot Chili, or Pressure Cooker Chili, is super flavorful with its homemade chili seasoning! It is easy to make and is now even easier to make in an Instant Pot! Chili is a thick, hearty soup, often made with beef and beans in a beefy tomato broth. However, there are many, many variations of chili. You can also find vegetarian chili or chicken chili. Lately, I have been converting many soup recipes to be cooked in an Instant Pot. 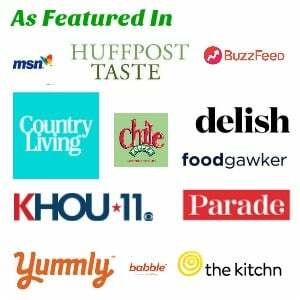 Don’t miss my other Instant Pot Soup recipes! If you ask 10 different people what is chili, you will likely get 10 different answers, depending on which part of the country they are from. For example, someone from Texas would say that Texas chili has beef cubes, no ground beef and has no beans. Cincinnati chili, or Skyline chili, on the other hand, with ground beef and Mediterranean spices, sometimes including chocolate, is often served over spaghetti or hot dogs. Boilermaker Chili is a popular style of chili that is associated with Purdue University. It has ground beef, chili beans, tomatoes, hot sauce, and lots of other flavors. 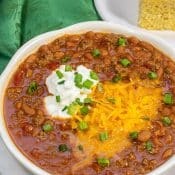 What style of chili is this? I would say this recipe is a variation, or adaptation, of Boilermaker Chili that is made in the Instant Pot. 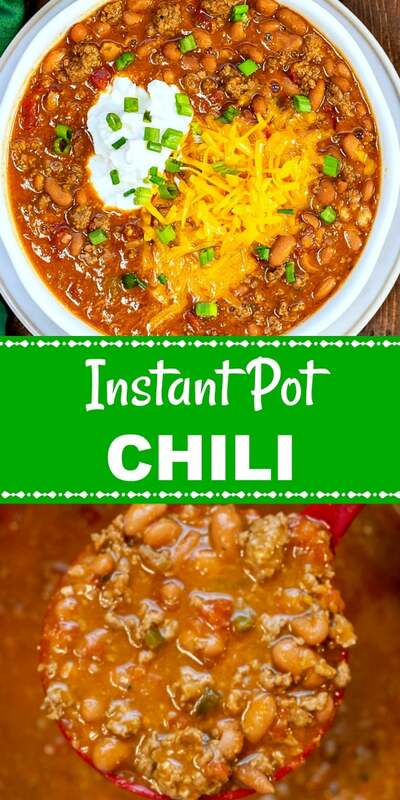 This homemade Instant Pot Chili, made in a pressure cooker, tastes absolutely fabulous. 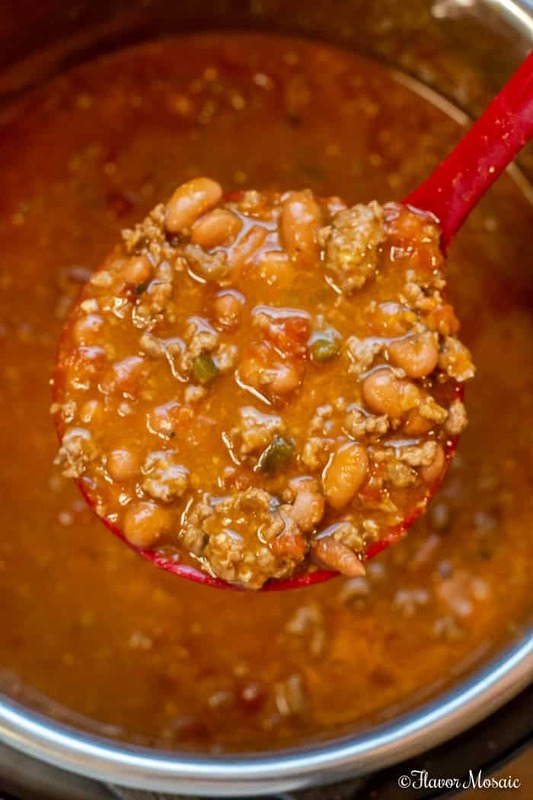 It is a combination of Boilermaker Chili and a local Award Winning Chili Cookoff winning recipe. 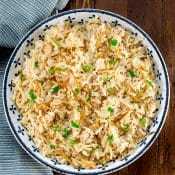 Then after combining the recipes, I cooked it in an Instant Pot pressure cooker to speed up the cooking and add incredible flavor. However, the real secret to this incredible chili is my homemade chili seasoning recipe. 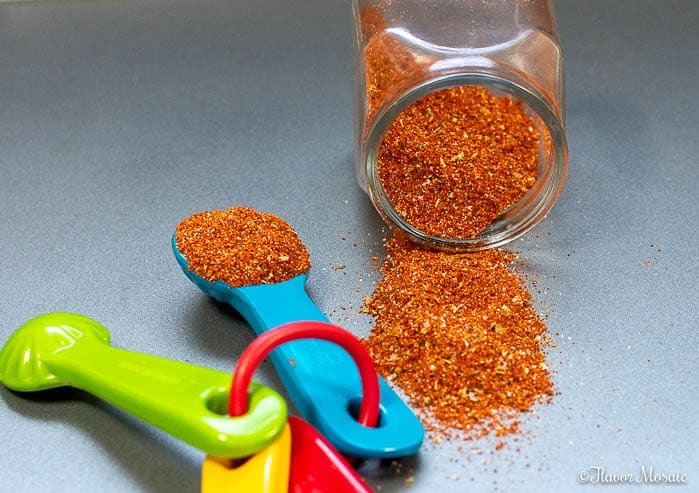 Paprika – can be smoked paprika but does not have to be. 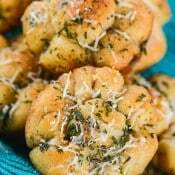 Italian seasoning – includes dried oregano, basil, thyme, rosemary, and other seasonings. The next step is to measure out all the ingredients. I measured out each ingredient on a plate to give you a visual of how much of each ingredient is included. 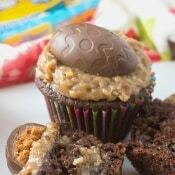 As mentioned above, please scroll down to the recipe card at the bottom of the blog post for the specific amounts. 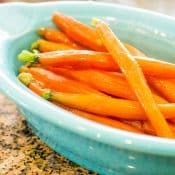 Mix all the ingredients together in a bowl and store in an airtight container if you are not going to use it right away. Otherwise, if you are going to use it in this recipe, you will just add all the seasoning to the ground beef in the Instant Pot! Ground Beef – I used lean ground beef. 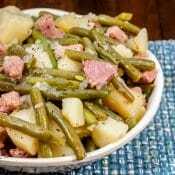 However, you could use ground beef with more fat, or sausage and just drain off the grease after you saute the beef but before adding the beans and other ingredients. Onion – I used a white onion. 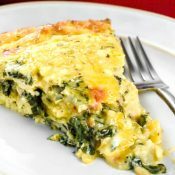 However, you could use yellow or Vidalia onions. Jalapeno Pepper – This is completely optional. And how many you use depends on how spicy you like your chili. Also, if you like hotter chili, leave the seeds in. If you want to reduce the spicy heat, then remove the seeds. One seeded jalapeno added to the chili makes a mildly spicy chili. If you want it spicier then add more jalapenos or leave the seeds in. 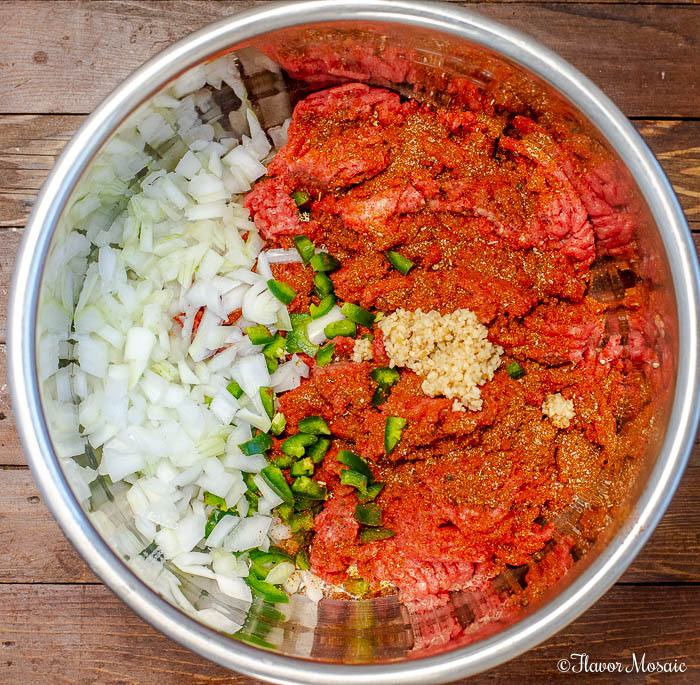 Garlic – I use 2 – 3 cloves of minced garlic in this chili. 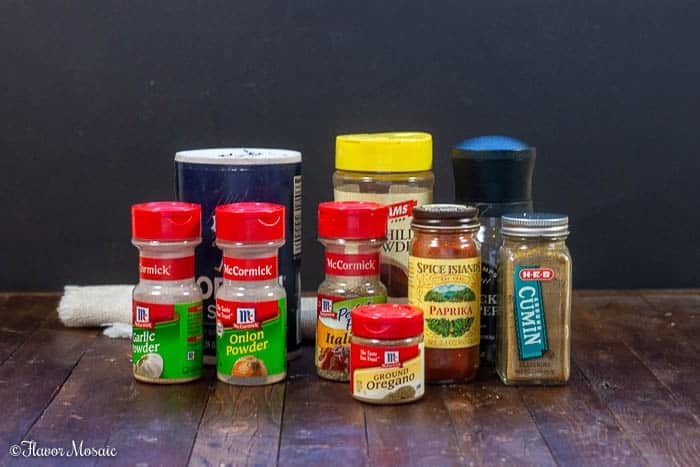 Chili Seasoning – You could use a store-bought package if you like or make the homemade chili seasoning that is included in this recipe. Chili Beans – These are pinto beans in a mildly spicy sauce. If you can’t find chili beans, pinto beans make a good substitute. Diced Tomatoes and Chilies – If you can’t find the diced tomatoes and chilies, then substitute 1 can diced tomatoes and 1 can green chilies for 1 can Diced Tomatoes and Chilies. Tomato Paste – If you don’t have tomato paste, you can use tomato sauce, but then I would reduce the amount of beef broth by a 1/4 cup. Beef Broth – Many people use beer instead of beef broth. Or if you choose you could make your own beef stock. Any of these would work. Hot Sauce – This is completely optional depending on how spicy you like your chili. 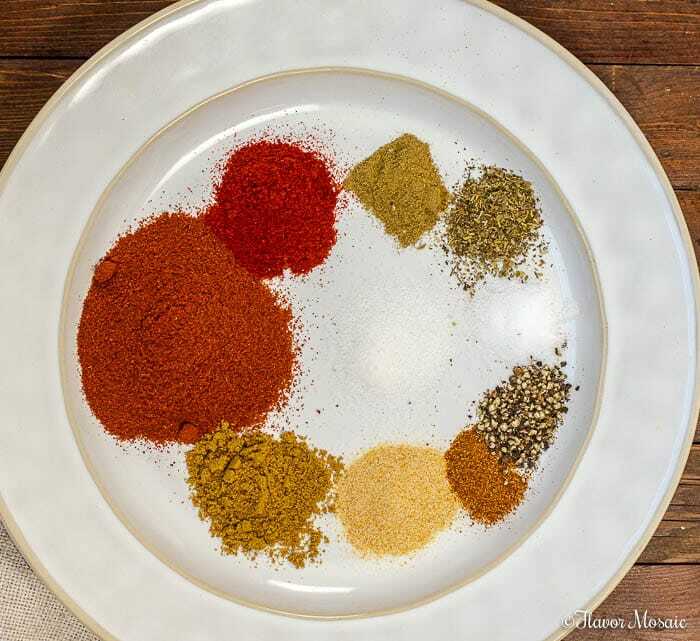 The amount also will vary depending on how your preferred spice level. Worcestershire – This adds extra depth to the flavor. There is really no substitute for it. If you don’t have it, or can’t find it, I would recommend to leave it out. 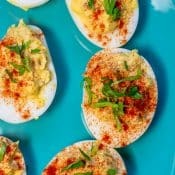 Garnishes – Top your chili with your favorite toppings, such as cheddar cheese, sour cream, or green onions. Add oil and wait until it is hot. 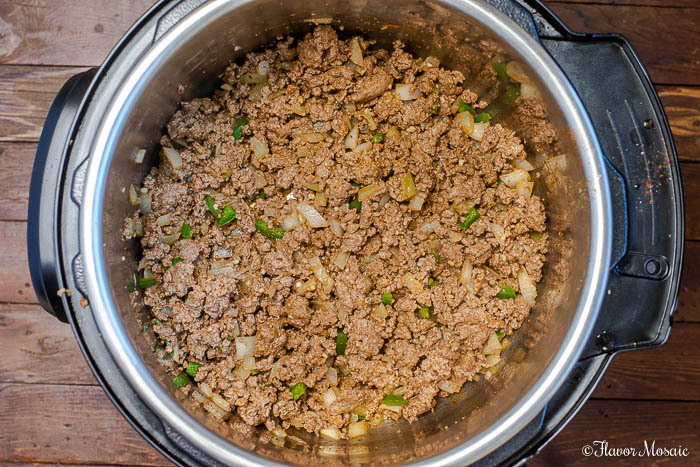 Once the oil is hot, add the ground beef, chopped onions, diced jalapenos, minced garlic, and chili seasoning to the Instant Pot. Stir occasionally to get the meat to brown all over. Press “Cancel” to stop the Saute function. Add the chili beans, diced tomatoes and chilies with juice, tomato paste, beef broth, hot sauce (if desired), and Worcestershire sauce. Close and lock the lid. Move the seal to the “Sealing” position. Press “Pressure Cook” and set the Pressure level to High Pressure, and change the time to 20 minutes. It will take a few minutes for the Instant Pot to come up to the pressure level before it starts to cook. After it has finished cooking for 20 minutes, let the Instant Pot release pressure naturally for about 10 minutes and then do a quick release. 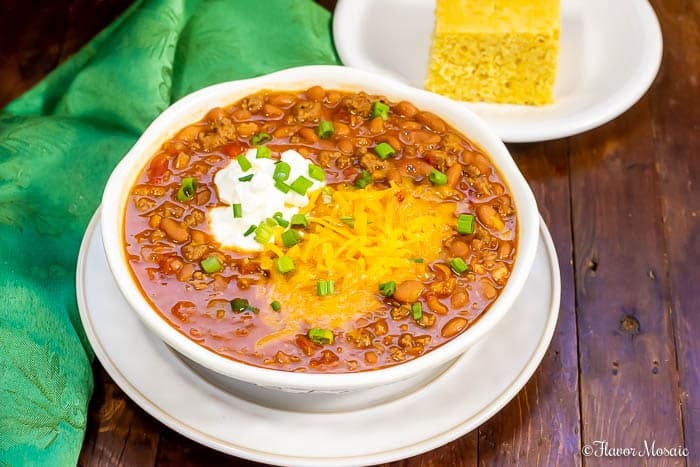 Ladle the chili into soup bowls and garnish with your favorite toppings, such as cheese, sour cream, green onions, etc. If after cooking, you want to make your chili thicker, try one of the following options to thicken it. Stir in a couple of tablespoons of cornmeal. This will help thicken it up. 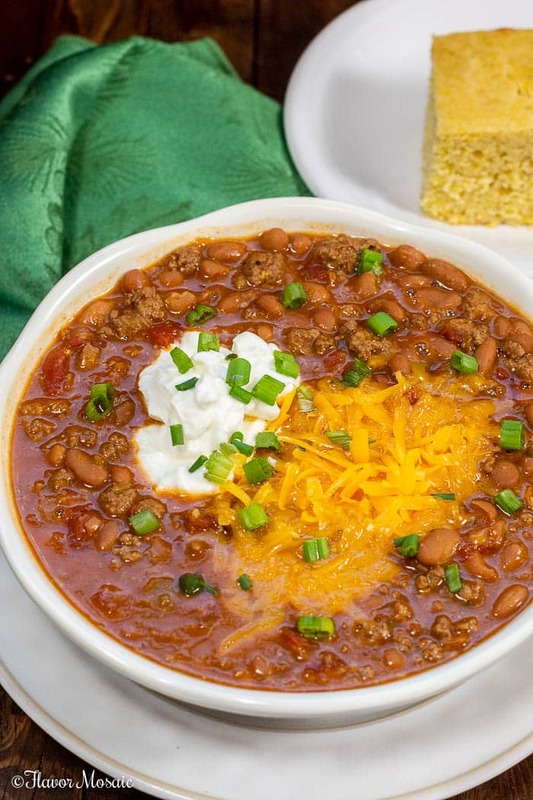 If you made cornbread to go with this chili, you will likely have some on hand. In a measuring cup, stir together 2 tablespoons cornstarch and 2 tablespoons COLD water. Pour the mixture into the chili and stir. 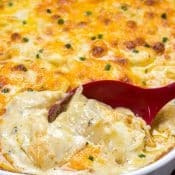 Give it about 5 minutes or so to thicken up. Can I Make Chili A Day Ahead? Yes! As a matter of fact, chili tastes even better the next day after the flavors have had time to meld together. Cover and refrigerate the chili until you are ready to serve the next day. Cornbread. For me, the natural side dish to go with chili is cornbread. I recommend making this Easy Homemade Buttermilk Cornbread recipe. Bread, Rolls, or Biscuits. If you don’t have cornbread, pair the Instant Pot Chili with some crusty bread or rolls or biscuits. All would be delicious. Hot Dogs. Pour the chili over hot dogs to make chili dogs. Baked Potatoes. Another option is to pour the chili over a baked potato and top with cheese!! Delicious. Green Salad. Pair the chili with a green salad for a lower carb option. Pumpkin Chipotle Vegetarian Chili an easy delicious one pot 30-minute meal that is perfect for a Sunday supper or an easy weeknight meatless meal. Crockpot Chicken Chili is made with chicken and white beans for a delicious comfort food chili. Press the "SAUTE" button on the Instant Pot. Press "Cancel" to stop the Saute function. Close and lock the lid. Move the seal to the "Sealing" position. Press "Pressure Cook" and set the Pressure level to High Pressure, and change the time to 20 minutes. It will take a few minutes for the Instant Pot to come up to the pressure level before it starts to cook. Mix all ingredients together in a bowl. 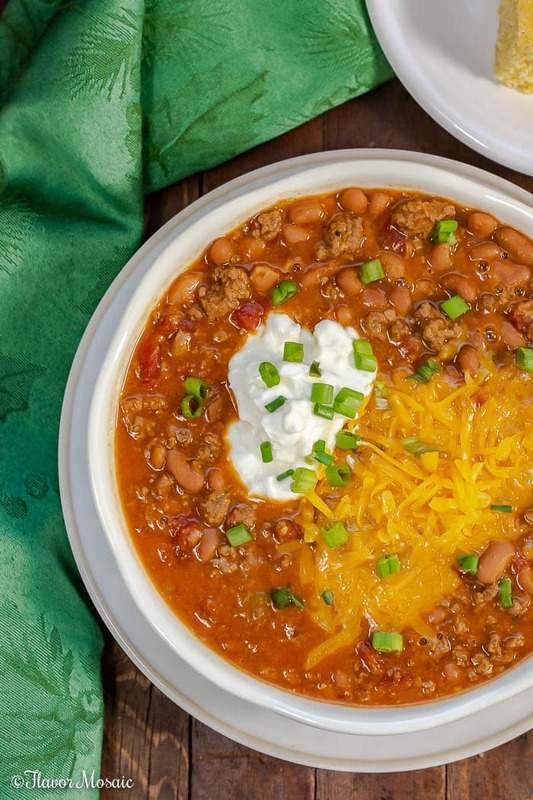 Use this entire amount of the Homemade Chili Seasoning recipe in this Instant Pot Chili recipe. If making the Homemade Chili Seasoning recipe for future use, store in an airtight container until ready to use. This recipe, as written, makes a mildly spicy chili.